How #*%!ed is the beautiful game? I am a midlevel Hungarian gangster. You are a Finnish referee. So here’s how it works. I get a call from a lieutenant in the syndicate — not from Dan Tan himself, the boss has to be protected, but from a middle man somewhere in Asia. Maybe Singapore, where Dan Tan is based; maybe someplace else. The caller says: We need so-and-so to happen in such-and-such soccer game. So I fly to Helsinki from Budapest and take a train north to Tampere, where you’ll be officiating a match in the Ykkönen, the Finnish second division, between FC Ilves and FC Viikingit. We meet. It’s not as if I’m lugging a duffel full of cash. The money will be laundered; we have the systems in place. I want you to be comfortable, after all. Right now, Dan Tan’s programmers are busy reverse-engineering the safeguards of online betting houses. About $3 billion is wagered on sports every day, most of it on soccer, most of it in Asia. That’s a lot of noise on the big exchanges. We can exploit the fluctuations, rig the bets in a way that won’t trip the houses’ alarms. And there are so many moments in a soccer game that could swing either way. All you have to do is see an Ilves tackle in the box where maybe the Viikingit forward took a dive. It happens all the time. It would happen anyway. So while you’re running around the pitch in Finland, the syndicate will have computers placing high-volume max bets on whatever outcome the bosses decided on, using markets in Manila that take bets during games, timing the surges so the security bots don’t spot anything suspicious. The exchanges don’t care, not really. They get a cut of all the action anyway. The system is stacked so it’s gamblers further down the chain who bear all the risks. What’s that — you’re worried about getting caught? It won’t happen. Think about the complexity of our operation. We are organized in Singapore, I flew from Budapest, the match is in Finland, we’re wagering in the Philippines using masked computer clusters from Bangkok to Jakarta. Our communications are refracted across so many cell networks and satellites that they’re almost impossible to unravel. The money will move electronically, incomprehensibly, through a hundred different nowheres. No legal system was set up to handle this kind of global intricacy. The number of intersecting jurisdictions alone is dizzying. Who’s going to spot the crime? Small-town police in Finland? A regulator in Beijing? Each of them will only see one tiny part of it. How would they ever know to talk to each other? Dan Tan has friends in high places; extradition requests can find themselves bogged down in paperwork. Witnesses can disappear. I promise; you’ll be safe. Who can prove you didn’t see a penalty? We’re fine. These are tip-of-the-iceberg numbers. The investigation didn’t turn up every instance of match-fixing everywhere; they’re just talking about the possibilities they’ve turned up. Concise evidence of what’s still hidden: Europol revealed that they’d found $11 million in organized-crime profits. Sound a little low to you? Chris Eaton, the former FIFA security director who now runs the International Centre for Sports Security in Qatar, thinks the actual number is maybe a hundred times that high. So let’s say I told you that a major international law-enforcement agency had uncovered a mountain of evidence that indicates the most popular sport in the world was being manipulated by a criminal ring that was profiting to the tune of — conservatively — millions of dollars. On one level, that’s good news, isn’t it? I mean, it’s terrible that it happened, but now that the police know, things can change! We’ll see arrests! We’ll see books opened! The truth will come to light! At a minimum, FIFA will take strong and immediate steps to make sure this never happens again. Right? Let me answer that question by referring you to the phrase that I hope will be your primary takeaway from this piece. Soccer. Is. Fucked. Europol announced the investigation Monday, leaving everyone with the impression that this was an ongoing operation designed to, you know, stop a criminal, maybe catch a bad guy or something. 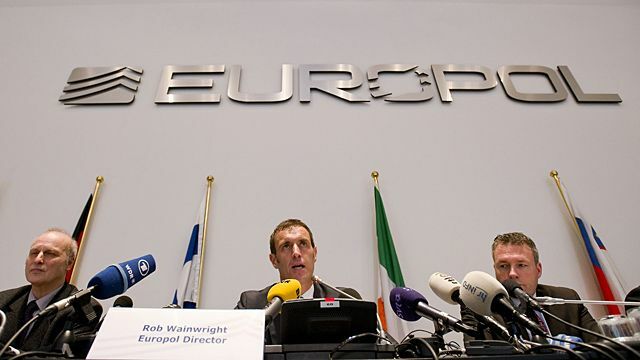 On Tuesday, multiple journalists reported that Europol is no longer pursuing the investigation. They’ve turned the information over to the dozens of prosecution services in the dozens of countries involved, which should keep things nice and streamlined. The man at the center of the whole story, the Singaporean mobster Tan Seet Eng, known as Dan Tan, has a warrant out for his arrest, but the Singaporeans won’t extradite him and Interpol won’t pressure them to do so.3 UEFA and FIFA talk about stamping out corruption, but, and I’ll try to be precise here, FIFA rhetoric is to action what a remaindered paperback copy of Pippi in the South Seas is to the Horsehead Nebula. FIFA is eyeballs-deep in its own corruption problems, being run, as it is, by a cabal of 150-year-olds, most of them literally made out of dust, who have every incentive to worry about short-term profit over long-term change. They all have streets named after them, so how could they have a bad conscience? FIFA sees the game as a kind of Rube Goldberg device, or, better, as a crazed Jenga tower, and their job is to keep it standing as long as the money’s coming in. Doesn’t matter how wobbly it gets. Nobody look at the foundations. There are five words that if ignored mean that we will lose sport as surely as sport in Asia has been destroyed — leaving our industry, our passion, our gift to the next generation devastated. These, then, are the five words: Dan Tan must be arrested. You can still have sports if players are cheating. You can still have sports if fans are fighting in the parking lot. Those are problems, big problems, but they can be addressed without threatening the basic concept of the game. When the outcomes of matches are being dictated from the outside, though? You no longer have a game at that point. You have something else, a weird simulacrum, pro wrestling without the feather boas. (And, almost as crucially, without the fun.) The essential idea of athletic competition — let’s both show up and try to win — is no longer operating. This is why the Black Sox scandal is still the biggest in the history of American sports, and it’s also why the NFL, the NBA, MLB, the NHL, and the NCAA are all currently suing to stop New Jersey from legalizing sports betting.4 Preserving the idea that there is a game should be the top priority for every administrator in Zurich. But the corruption simply seems to radiate to higher and higher levels: Hill said earlier this week that the scale of the match-fixing uncovered by Operation Veto suggests that high-ranking team officials, not just players and referees, must be involved. “With that many instances, it seems clear that there is more organization.” But Dan Tan has not been arrested. And nothing is about to change. Late last month, a masked assailant threw acid in the face of Sergei Filin, the artistic director of the Bolshoi Ballet. He was walking home through the streets of Moscow when it happened. He lay in the snow for 20 minutes, in what he described as “terrible, unbearable pain,” before a security guard spotted him and called an ambulance. A few days ago, he left the hospital and told the media that he knew “in his heart” who was responsible, and that the group behind the attack was trying to force him out so they could seize control of the ballet. I keep thinking about this, and I think about it more the more I read about soccer and organized crime. Obviously gambling fraud isn’t the same thing as violent assault, though there’s a collateral trail of murders, suicides, and beatings on the margins of the match-fixing ring, just as there’s a collateral trail of victims in FIFA’s own corruption saga. But part of what’s so terrible about both these stories is the way they subvert what’s supposed to be best about the milieu they’re set in. Art is supposed to be beautiful.5 Sport is supposed to be fair. I mean, we’re all cynics now; I know this. We’ve all seen The Wire. We understand that where illicit behavior is made possible by a system, it will almost certainly occur, because the world is the world. Fine, I guess. But where do we go for consolation from that regular, everyday brokenness? Where do we go to nurture our idea, assuming we’re impractical enough to have one, that something better could still be possible? You can turn to religion, I guess; if you’re really optimistic, you can turn to politics. If you’re like me, you turn to art and sports. And that’s the sad part: Precisely because we turn to sports as a solace from the rigged deck of the average Wednesday, sports are incredibly susceptible to exploitation by the same bullies and middle men who shuffled the cards in the first place. You’re bummed out that somebody’s rigging soccer matches? You think that’s unfair? OK, so what do you do when unfairness bums you out? You watch a soccer match! You watch a soccer match because the rules are clear and the action makes sense and it’s a chance to see talented people do fine things. So you keep watching, and thus keep guaranteeing paydays for all the people who are working around the clock to ensure that none of that will stay true. I want to believe that there’s a degree of consolation that can’t be tainted by gangsters — that Dennis Bergkamp at St. James’ Park, the beauty of that moment, is a victory over everything the match-fixers represent. But what a fleeting, imperfect victory. And even that might be asking too much. Would FIFA, or Interpol, or Queen Elizabeth, or somebody do more about match-fixing if it were a bigger problem in England?6 How about in the U.S.? What if something really hard to explain happened in the World Cup?7 Maybe we’ll find out. But in the meantime, when Champions League matches aren’t above suspicion, how are we supposed to trust the outcome of any game we see? How can we avoid getting skeptical when we watch a muffed save or a bad call, whether the skepticism is justified or not? I love this game to smithereens, but at this point — after Calciopoli, after Cremona, after The Fix, after the Bundesliga in 2005, after the Whistle Mafia, after Safa, after the K-League, after China, after Operation Veto — I have no idea how anyone can expect me to have faith in it. Soccer is — you know what? You finish it. No one is quite sure how many of the 680 matches are new, never-been-reported instances of corruption and how many are the result of tallying the findings of previous match-fixing investigations. Europol’s not saying. Regardless, 680 is a lot. Liverpool wasn’t implicated in any wrongdoing; the goalkeeper of Debrecen, a Hungarian team that played Liverpool in the 2009 Champions League, was allegedly approached about allowing the home team to score a few extra goals. It’s worth taking a few minutes to read about Dan Tan and his shadowy mentor “Mr. X.” If you watched the Super Bowl last weekend, maybe at least scroll down to the part where Mr. X sells the idea of blowing out stadium lights to a Malaysian crime syndicate and then it actually happens during Premier League games. James Surowiecki writes about this in a pro-legalized-gambling column in The New Yorker this week. But — without writing about the soccer precedents at all — he basically shrugs off concerns about match-fixing: “the truth is that legal and regulated betting makes it easier, not harder, to spot things like point-shaving.” Now, I’m generally in favor of making sports gambling legal, for reasons that have nothing to do with sports. But it’s important to recognize that what’s enabled soccer’s match-fixing problem is not the unregulated shadiness of illegal gambling but the fact that the sheer volume of betting encouraged by legal gambling opens up opportunities to exploit the systems devised to handle it. That’s a simplification, but bear with me. Right now there’s no evidence that the Premier League is implicated, though jumping from that statement to the certainty that the Premier League is clean, as a few English media members have been doing this week, is obviously premature. As the most popular league in the world, the Premier League is a complicated target for match-fixing. On the one hand, the games draw that much more scrutiny, which could make it harder to rig the betting without being caught. On the other hand, there’s so much more betting in general that it could be easier to disguise suspicious patterns. I don’t think matches are being thrown in England, but at this point, I honestly don’t think we can rule out anything.